Was maturity an issue this year? 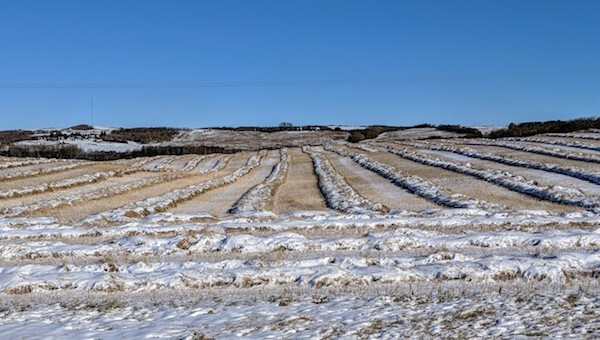 Might you consider a shorter-season variety on some fields next year? Disease resistance. Disease can be a major yield-robber and finding a disease resistance package that matches the situation on the farm can go a long way to improve yields and profitability. An important consideration: Is seed the best way to manage the disease in question? Genetic resistance is one effective tool to manage clubroot and blackleg in fields with those diseases. 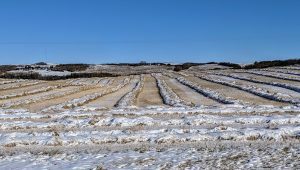 Note that all varieties on the market are resistant (R) or moderately resistant (MR) for blackleg, but not all varieties have a source of clubroot resistance. For blackleg in particular, growers now have tests to identify the blackleg races present in a field. They can use this information to choose varieties with resistance to those races. For clubroot, genetic resistance deployed before clubroot arrives in a field (or before symptoms are evident) is a good tool to keep spore loads low. Sclerotinia-tolerant hybrids can limit risk to yield loss from sclerotinia stem rot. Read more on clubroot and seed. Read more on R-gene rotation for blackleg. Herbicide tolerance (HT) package. Some farms have rotations or minimum tillage systems that favour specific HT system choices. But is sticking with one HT system hurting profitability in other ways? Consider a few different scenarios to test the current approach. For example, do you have any herbicide-resistant weeds to manage? Are you looking for better canola volunteer control that rotating systems might offer? Maturity. Is canola harvest always late on your farm? Was it delayed this year? If this adds too much stress to the harvest season, earlier maturity might be a high priority. Note that higher seeding rates and seeding in early May (when possible) are other steps that can bring in the harvest earlier. Lodging resistance. A variety with top-level standability might end up yielding more and reducing harvest stress on your farm compared to a variety with higher yield potential but less lodging resistance. Seed treatment. While not a seed trait per se, choice of seed treatment can influence stand establishment in certain higher-risk scenarios. For example, if a farm is particularly prone to heavy cutworm feeding on seedlings or if canola is going into a higher risk cutworm situation (lots of flowering fall weeds, pulses the year before), investing in a seed treatment with cyantraniliprole (Fortenza, Lumiderm) may pay off. These treatments as well as sulfoxaflor (Visivio) can also improve protection from striped flea beetles. With flea beetles, one option – if the new seed treatments don’t make sense across the whole field – is to use the new seed treatments on seed planted around the headlands only, where flea beetle feeding tends to be higher. An agronomy note on new seed treatments: Scouting is still required; canola under pressure from cutworms and flea beetles may still need to be sprayed. Clubroot is in the area. When the disease is confirmed in your community, it will reach your farm eventually. (Can you prove that clubroot-causing P. brassicae is not already in your soil?) So even if clubroot-resistant (CR) hybrids didn’t seem worthwhile in the past, the trait will provide an economic benefit if it keeps the disease at low levels for the long term. The CR trait and the yield benefits it provides will be a top priority in seed decisions on many farms. Clubroot resistance versus yield. Sometimes the variety with the highest published yield is a clubroot-susceptible variety. Consider the risk of an undetected low level of clubroot increasing to yield-robbing levels if you use a susceptible variety. Is yield potential alone enough? The good news is that many of the new CR varieties have no yield penalty, so choosing a CR variety for yield and clubroot risk mitigation is a win-win scenario. Clubroot resistance versus straight-cut performance. Farmers can get pod shatter tolerance and clubroot resistance in the same hybrids now, but if the choice comes down to one or the other for economic and other reasons, when should you give up on pod shatter and go with clubroot resistance? With clubroot confirmed in more regions each year, CR will be the higher priority for many growers. Clubroot resistance versus non-CR in soils with low levels of clubroot. Considerations: (1) Growing CR canola on soil with a low level presence of P. brassicae will exert a selection pressure on the population. But the CR will still keep the spore loads low, and therefore the number of spores that can overcome resistance is low. We have not yet observed CR failing on soils with no or low spore loads. (2) Growing a non-CR canola variety on a low level presence will increase spore loads. Now there are a lot of spores capable of overcoming resistance. Growing a CR after this situation will have a very high selection pressure. We have lots of data to show that CR will fail on high spore loads in two canola cycles. High spore load is the biggest threat for clubroot and is a situation we must prevent. (3) If the choice is growing CR or non CR, chose CR – especially if P. brassicae is in the area! Herbicide tolerance (HT) versus blackleg resistance. If blackleg seems to be getting worse but rotating to a different source of blackleg resistance is difficult under the desired HT system, the grower could ask their preferred seed company for options from a different blackleg resistance gene group, take other approaches such as longer rotations, or change the farm cropping plan to work in a different HT system.